10 easy Ways to Intensify your Sales! | Let's Biz Up! You are here: Home / 2014 / August / 21 / 10 Sure Ways to Intensify your Sales! 10 Sure Ways to Intensify your Sales! You wish to boost your online Sales? 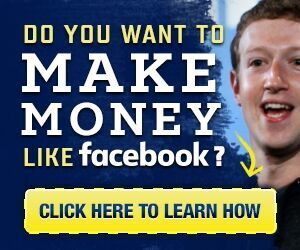 Hell Yeah…, who doesn’t want to earn more money!? Here are 10 ways to sky-rocket your income. Creating productive marketing strategies that brings in money on autopilot is not something that comes by itself. It needs practice, testing, tweaking and again testing till you got it right. Also you need to learn from people who are doing it RIGHT NOW, who are DOING IT RIGHT! Use their principles & ideas and adjust them to your needs. With these working strategies you can start extracting money from your marketplace and add value to your customers, subscribers and clients. So here are the 10 Sure Ways to Intensify your Sales! See what everyone else is doing and then do the opposite. In the home business industry, 95% is always selling with giving no value, so this is why I spend 60-90 mins daily on most days writing e-mails & articles like these for you. Add Value to your subscribers, clients and potential new customers, even before they give you money and buy your stuff or join you inside your business. Add Value!!! Giving opens the Way for Receiving! This is me… giving you VALUE! Offer your customers back-end products. After your initial sale, have an automated system that lets them buy more stuff from you. After people join me inside of a home business, they often want more coaching and tools to build their business. Back-end is where all the money is made! It is easier to sell to existing customers. If you do not have a back-end product, join an affiliate program. Allow customers to reach out to you via e-mail, skype or facebook. This builds transparency! Adding about transparency, the more transparent you are, the more you will win the hearts of your customers. Up-sell to all your customers. You could sell add-on products, deluxe products, extra parts, related products, add-on services, etc. Or introduce them to new program, online tools and much more. You already have the trust of your client so they will be more willing to buy from you. Focus On One Problem And Solve It. Professional sales people have known for a long time that the human mind gets confused when asked to make too many decisions at one time. This is why classic advertising (the kind that works) gives readers ONE choice to make. Use permission marketing to increase your sales. You simply ask people to sign-up to your e-mailing list. They’ll already be interested in messages or ads. Serve them. Give Value. Sell them. This is how business and online marketing works. Follow what i do, learn and model this. Use Business Systems to automate your sales, back-end sales, front end lead generation efforts. I know if you read this article at least TWICE you will get soo much out of this, and then take action! Over the last few months I’ve been quietly using a new system to stuff my affiliate earnings. And so I want you to join me if you aren’t making at least $10,000+ per month and put this system to work for YOU! I know my stuff, you already know that, these articles represent this, now I’m seeking new members to join me inside of this program to work with me closely. You’ll have PERSONAL ACCESS to Six Figure Coaches who will work with you personally if that’s what you want. We can’t do this for everyone, and not sure how much longer. Right now, you gotta make a choice. I have 2 Business Opportunities which I highly recommend. If you like a “Done-for-You” online marketing system, with a step-for-step video tutorial (very useful for newbie’s), then click here.